As a member of The Greater Reading Chamber of Commerce & Industry (GRCCI), you join with other local businesses to create a vibrant community and promote a more positive business environment. The Chamber strives to keep you informed on relevant issues through our newsletters, website, committees and events. We proactively take action to influence public policy to help businesses grow. In addition, we constantly work to ensure that local, state, and national lawmakers hear the concerns of our members. Through various activities like advocacy, positions, testifying, developing key relationships, grassroots activities and tracking bills and regulations, we strive to promote pro-business legislation and fight anti-business legislation. 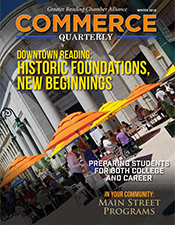 The Chamber is the business voice of Greater Reading. We take measures to make sure that government considers business objective, business viewpoint, and the business community values and quality of life when making decisions. OUR POLICY AGENDA & PRIORITIES are main factors that drive our Government & Community Affairs effort. We evaluate what is important to our members through various interactive programs and surveys. Through a joint effort between our Government Affairs and Standing Issues Task Forces, Board of Directors, and our members, GRCCI is able to take a strong stand on the positions that matter most to Berks County's private businesses and broader community. Working together, we help to build Berks County economy and improve our quality of life. Issues such as public policy were identified and we categorize these issues into goals that are important and related to the cost of doing business. We look to identify other groups that are engaged in similar activities so we can work together and speak with one voice and effectively use our available resources. GRCCI and our members think we should do more than look to government for answers. We shared responsibility to participate in the formation of policy and we work together to bring about the solutions. CHAMBER POSITIONS are created when an issue is deemed appropriate where we can make a difference for our members. We use these positions to advocate on behalf of the Greater Reading business community to support legislation and policy that will sustain and grow our economy, our quality of life, and our business surroundings. Click here for our current Chamber Policy Agenda & Positions. We have engaged Chamber Government & Community Affairs Committees. Read further descriptions here. 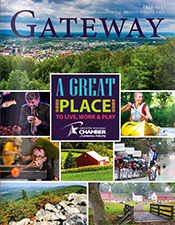 GREATERREADINGVOICE.COM is the Chamber's advocacy website to help our members take action and stay connected. The website helps you to learn more about business-related policies and issues at the local, state and national level. It is an interactive website where you can track key legislation and regulations, contact elected officials, learn more about our candidates, register to vote, apply for an absentee ballot, and much more. Speaking as one voice, we have the power to make the prosperity of the business community even better. OUR GRASSROOTS NETWORK AND EVENTS are engagement opportunities our members are able to use to establishe relationships with local, state and national representatives and policy makers. We use these opportunities to inform, educate and develop an awareness of key issues and positions taken by elected officials and those seeking office. We provide closed door, face-to-face exchanges between Chamber members and elected officials to ensure that our policy agenda remains at the top of their agenda. Our special summits and forums on key business issues with experts provide information and insights on policies that affect the business community. POLITICAL ACTION COMMITTEE (PAC) is a Pennsylvania state registered committee designed to take our Government Relations program to the next level. PAC takes action to elect pro-business candidates to public office. With anti-business forces spending dollars to support their agendas, PAC is one way to influence our pro-business policy agenda and make our economic growth message heard. The Chamber's Endorsement Taskforce determines if GRCCI should get involved in a particular election. They are responsible for making a recommendation and endorse pro-business candidates. The endorsements of candidates will be based on an objective evaluation of each candidate's position that align with the principles, the policy and priorities, and the goals of the GRCCI and its’ members. GreaterReadingVoice.com includes an Elected Officials Directory which provides information on federal and state officials. Berks County is located in PennDOT District 5 for transportation maintenance and construction work. It is only through the involvement of our members that we are able to successfully build and implement our policy agenda, grassroots network and initiatives to meet the needs of businesses and our community. To learn more about membership opportunities contact Gail A. Landis, C.P.M. - Vice President, Government and Community Relations at Gail Landis or 610.898.7773.